Keeping the workplace clean will not only create a good vibration but also protect company data from theft. Wondering how come clean desk will lead to data protection. Let me explain all the details here. 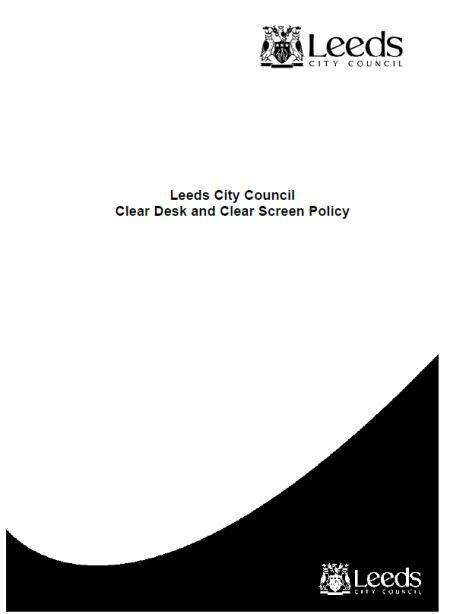 Before, that I would also want to tell you that we have collected an array of clean desk policy checklists. 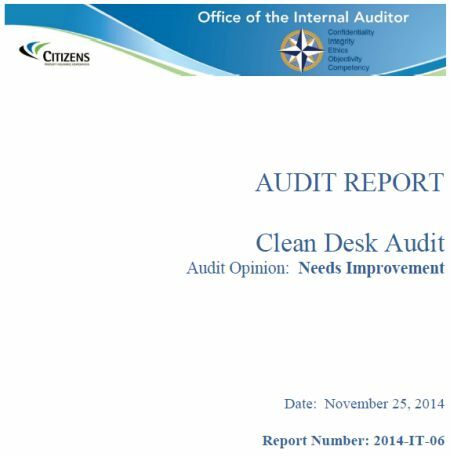 Clean desk policy poster, clean desk policy audit checklist and all other clean desk policy related templates. You can download them at one click and use them to make your office clean. We will now explain to you about why you require them, how to use them etc. 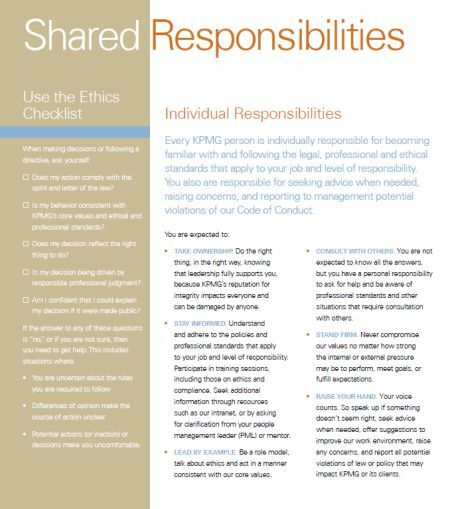 You can feel free to download them and share it with your employees to help them keep their workplace clean. When you want your employees to keep their desk clean, then you need to let them know how to start and where to end. So every company prepares a checklist of what is expected to be done to keep the workplace clean. There could be a few things done in the morning and few before the end of the day. The checklist will let every individual do the cleaning work in an orderly manner. Also, everyone across the company can do this in sync. So, let’s share this policy with our employees today. The entire workplace must know the clean desk policy and only then everyone can work towards keeping their respective desk clean. Small drops of water make the ocean and hence every single employee should follow the clean desk policy. 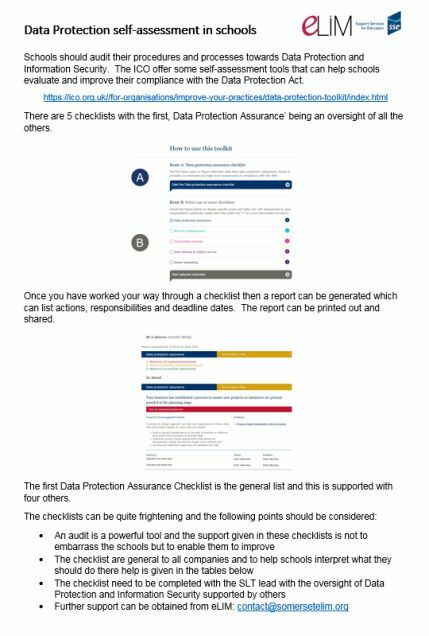 But, for doing so, you can provide them with a checklist and they can quickly tick them after completing the same. Over time those activities will be mastered by them. 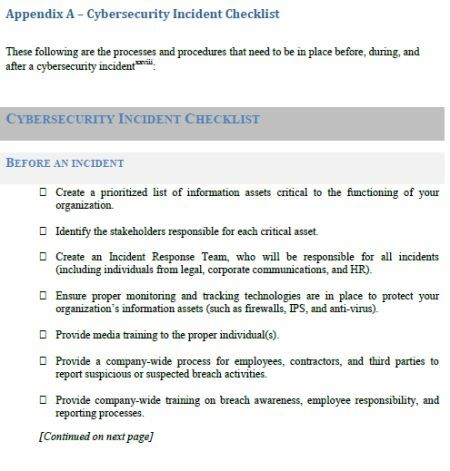 What must be present in the checklist? 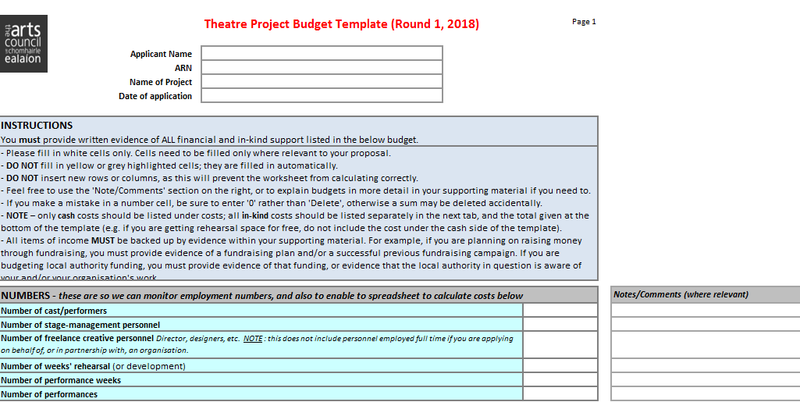 The details about the work to be done, time, and a checkbox to mark as done. You can also include a column to allow them to write the comments. For your best use let me give you a sample table with the list of an action item that came to my mind. You can add more and feel free to share it with us and that can help others too. 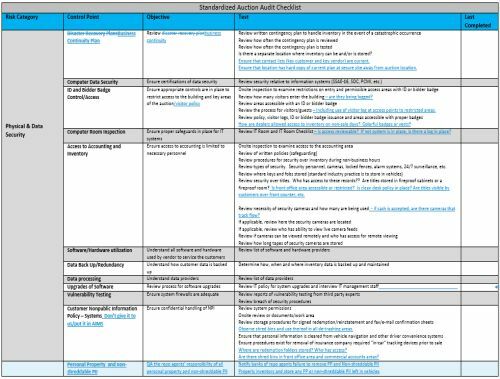 Trust I have given a decent insight about the checklist and now the ground is for you to add more depending on the nature of the business. 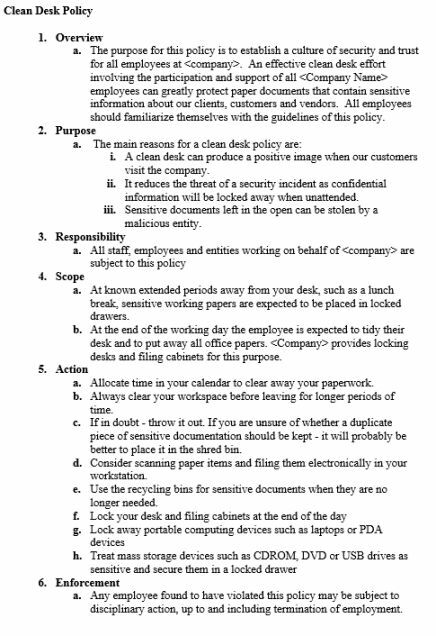 It is a good practice to document clean desk policy and give it to employees at the time of joining. But, do you think it will suffice? No, because employees will be very excited on day one in office but will eventually dwell into the work and forget all policies. So what should we do? We can ask them to read that again. When your organization grows, it is not possible to meet employees daily. Now, you can use the email effectively. 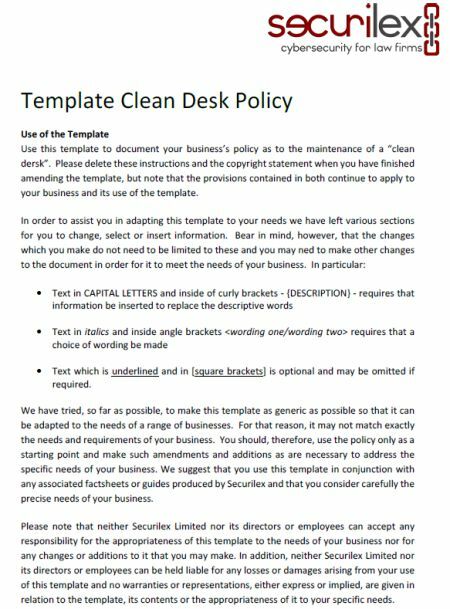 People are using their smartphones on the move, and hence sending emails about the policy is the best way to let know the employees about the clean desk policy. 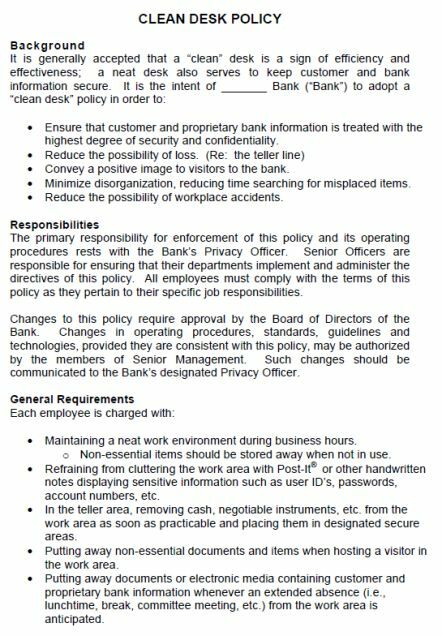 Find a sample below which explains the content of the email for a clean desk policy. 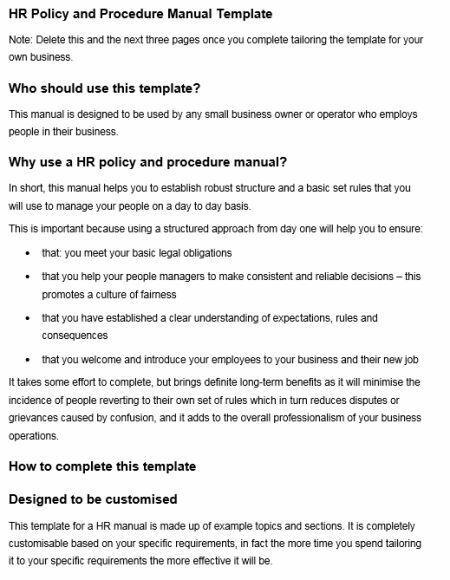 Now, let me explain you this structure in detail and that will give you an idea of how to draft an email to circulate to your employees. 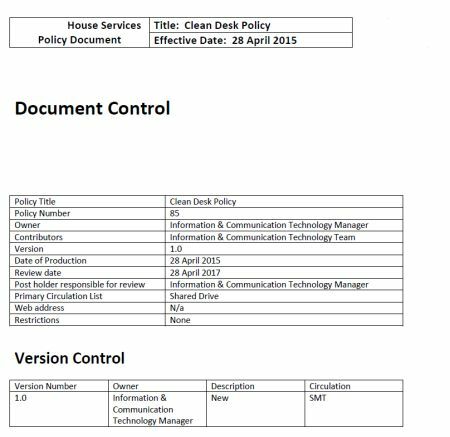 Write in the subject line of the email as Clean Desk Policy – Revision / Version number. 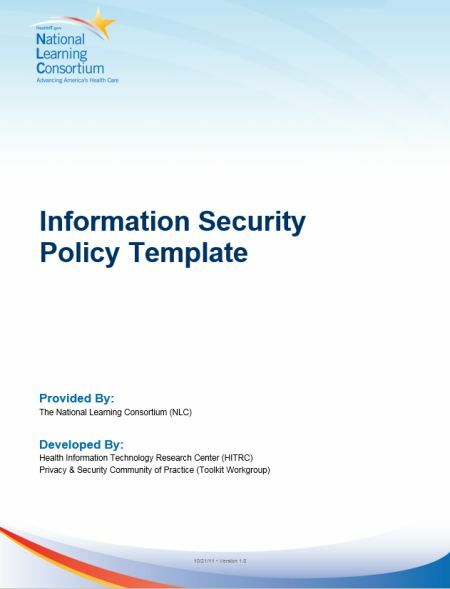 In the body of the mail give an overview of the policy. This must contain the details such as the need and importance of the clean desk. Then mention the scope of the policy. Who will the policy apply to? Now, in bullet points mention all action items. 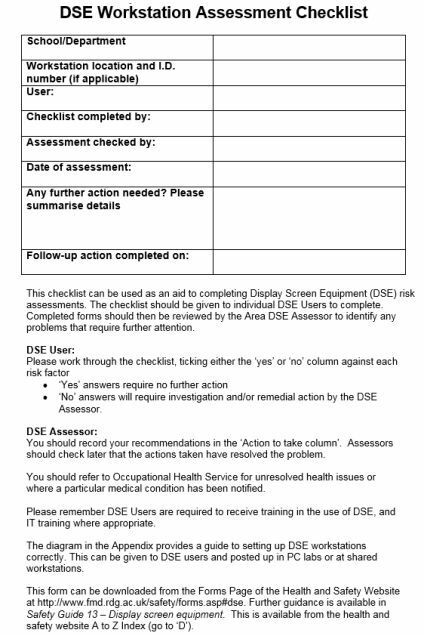 This can be similar to the one mentioned in the table as the checklist. After that tell who will be responsible to monitor the employee action in keeping the desk clean and finally do let them know the repercussion of not following the policy. Sending an email for keeping the desk clean must be periodically reminded to the employees. It is required to give them gentle reminders and this you can do it by changing the subject line as Clean Desk Policy Email – Gentle Reminder. 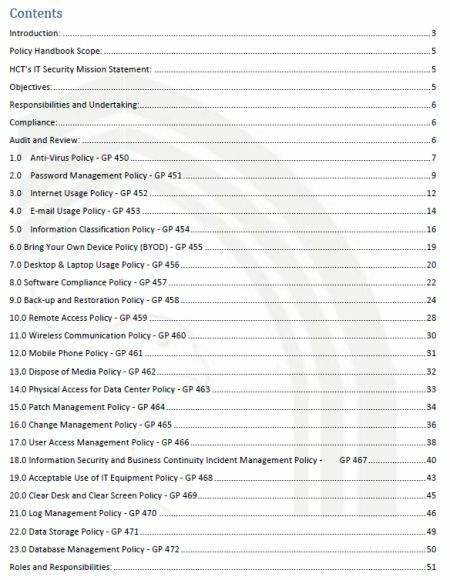 It must contain the details about each action item. You can reserve a week in 6 months as clean desk week and send out emails all through the week. Yes, day one you can talk about the policy. Day 2 announce some activities to let employees work on cleaning the desk. Day 3 make all employees appreciate others stating the reason how they differently cleaned the workplace in the previous day event. Day 4 Allow everyone to make post-it of the appreciation and stick it on the desk. Day 5 Call all for a meeting and distribute certificates. This is the most effective way to remind employees via email. Do not monotonously send emails and employees will filter them to folders even without reading them. When they involve in activities, then they will certainly remember to clean their desk without fail. Yes, you designed a policy, sent out emails and reminded as well. Still, few people will not do the work. There is a bright idea that is using cards and poster. No one will forget when they can see brightly colored posters on their desk. 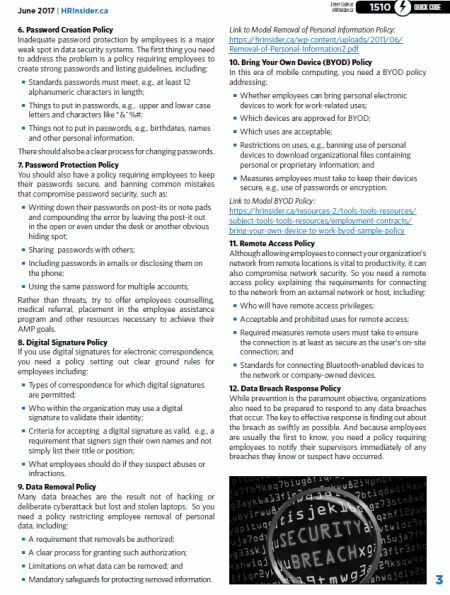 So use these posters and print them on think cards to leave on the desk of each employee or hang it in common places which are noticeable. Also, these posters can be made as default screen savers in everyone’s PC. All must read them when the system is idle for a stipulated time. So they will definitely remember to clean the desk before their leave. You can also send these posters as messages on their phone and that’s the fun. No one can manage without phone and use that weakness to get your office cleaned. 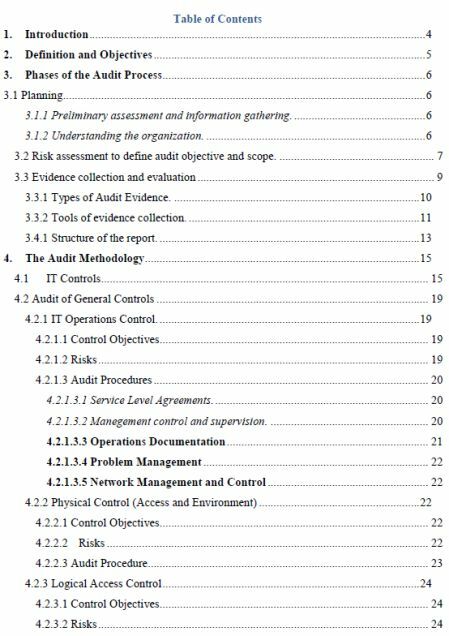 You have tried all methods and finally missing on the audit will make you fail in your attempts. It is because an inspection is required to make employees follow certain policies. Do not draft policy for the sake of it. Also, no use when you have policies because your competitors have one. Instead, you need to make it a point that everyone follows and that can be done only when an audit happens. Depending on the nature of the job and the paperwork done, you can conduct an audit on a quarterly, half yearly or yearly. 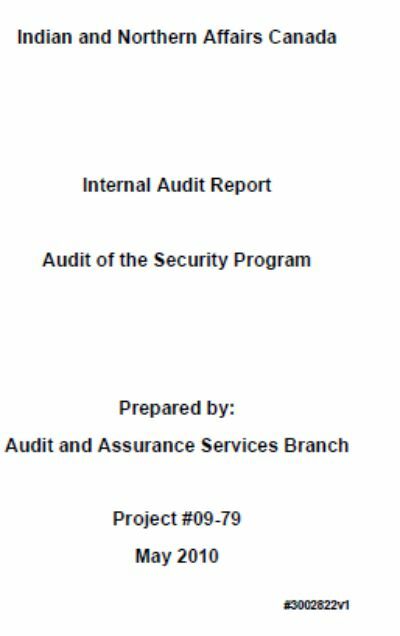 Yearly one audit is a must. Only then people will understand the seriousness of the policy. The former one is done by internal people. 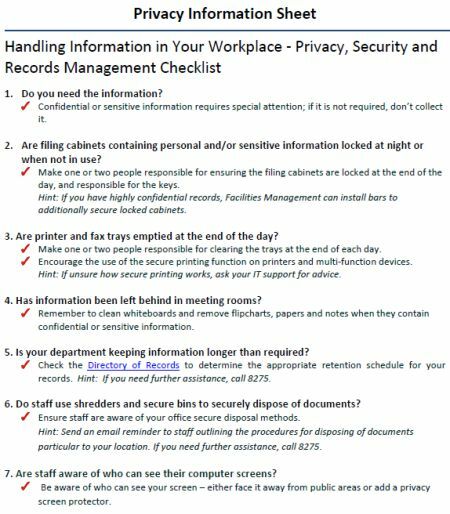 It can be higher officials or even selected employees to check the desk of each employee following a checklist. 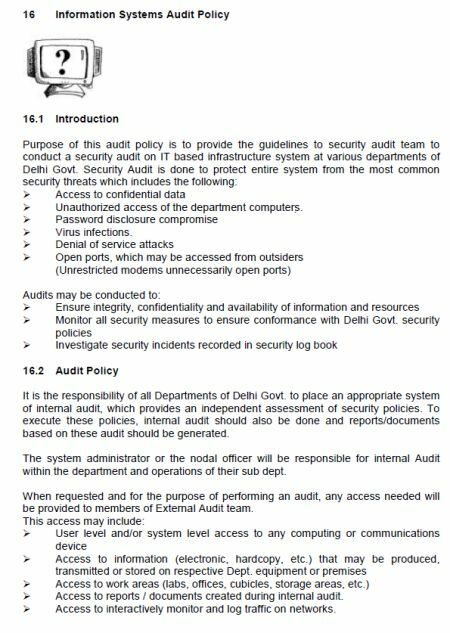 The latter one is conducted by calling third party people to conduct an audit. 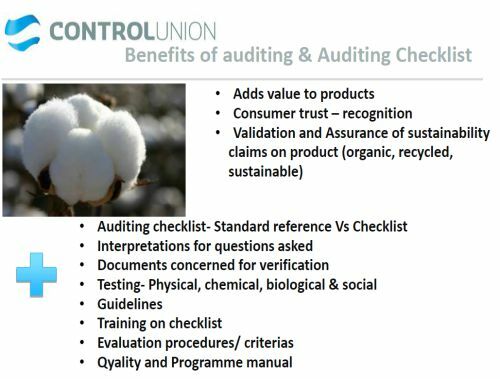 Irrespective of any mode, there needs to be a checklist which can be followed to check compliance and take action on non-conformance. 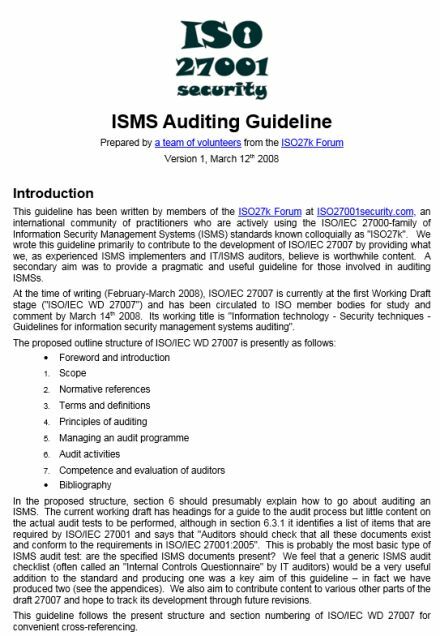 Heading – This is just the name of the audit. 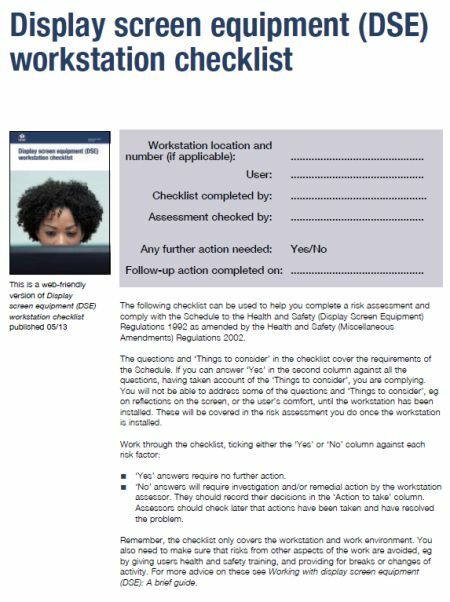 Clean desk audit checklist / Clear Screen audit checklist. Internal / External audit must be mentioned below the heading. 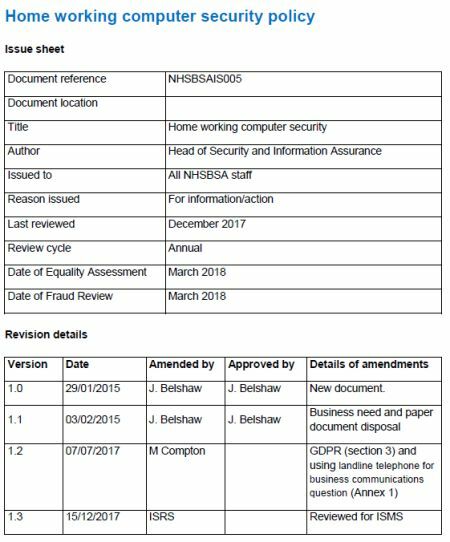 Date – The date when the audit is conducted. Employee Details – The name of the employee, designation, and years of experience in the organization. Comments – Suggestions or major observation if any. Signature – Sign of the auditor and their respective senior officials if the auditor is not authorized to sign. Note: You can add more action item and also mention the details of the action item. These are just samples for your reference. Maintaining a policy is as important as drafting the policy. Let me give you five quick tips to easily maintain the clean desk policy. Provide the right tools – Make sure you just not send emails and remind employees to clean the desk. But provide them with the resources and tools to comply with the policy. Give a place to keep the things. Provide them safety lockers and keys. Ensure to give them access in the system to store files in the common drive. Desktop files ­ – There are few work that demand papers to be used throughout the day. For such people, you must give them desktop files to file their papers and refer to them instead to floating them all around. Go paperless – Allocate system to each employee and slowly avoid using papers and printouts. Ask them to communicate via mail and store data in the system. Provide them Bluetooth access in the system and let them share files without pen drives. Allocate place for everything – Just asking them to keep clean won’t help and you need to provide clear instruction and place to keep the things. 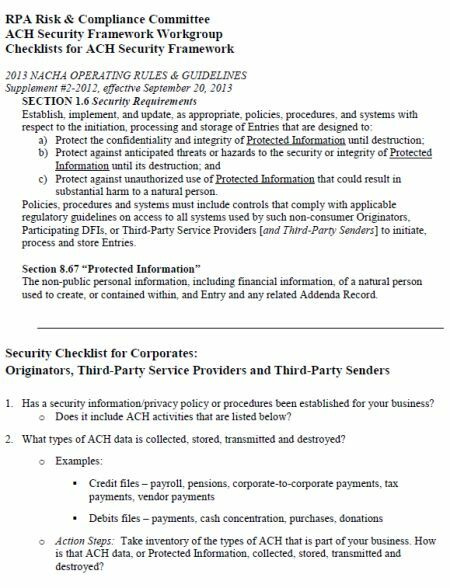 For example, every floor should have a shredder and that will allow employees to shred confidential documents after use. Keep bins that are categorized to leave papers in the respective bin. Remind and Set time – Cleaning must become a habit and missed one time will motivate for further missing. So you need to fix a time in the day to arrange the papers. Even if they will work after that it is good to clean the massive messy papers at 5 or 6 in the evening. Looking at each other all will do it at that time. Send out emails or through centralized audio system give reminders. I can understand that you are not convinced yet with the need for this policy. So let me throw some light on the advantages of using clean desk policy. Let’s begin from the easy ones which all can understand. Yes, it goes without saying that when the desk is cleaned on a regular basis, it gives a good look to the entire office. No pins and papers flying around will create a good vibration not only to clients but also to the employees. When we practice arranging things in order on the desk, then locating them when required is easy. Also, during the absence of an employee, another one can pull out the details which will prevent the company from any loss due to lack of that data. 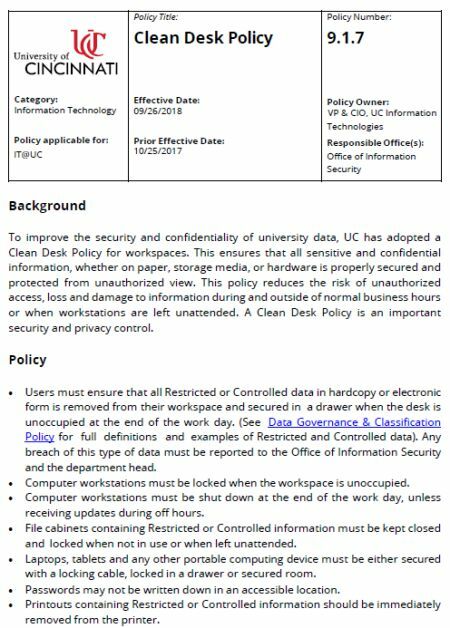 Data security is the prime focus and clean desk policy will let that happen. Yes, papers will not fly around and it will be placed safely. 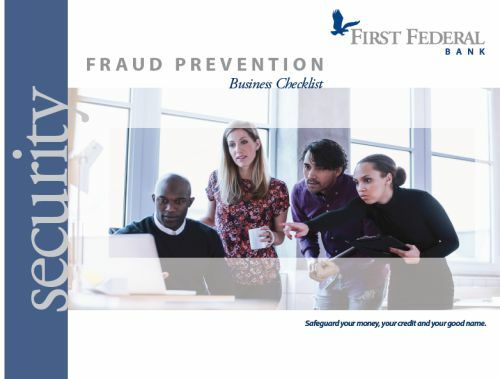 The stealing of data can be prevented. For example, have you noticed your fellow colleagues using post-it with their user name, password? This will lead to all theft. So the clean desk policy will not give rooms for such post-its and thus initiation of data theft prevention begins. 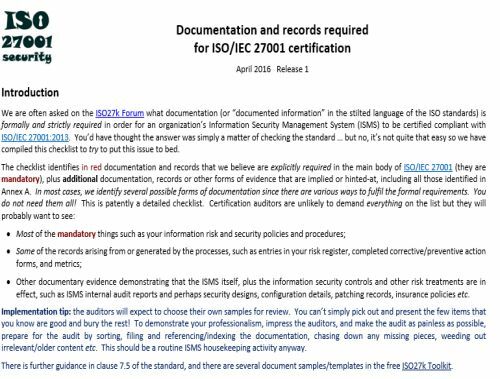 Per the ISO27001 it is a must to collect papers from the printer after printing. One must not leave any confidential data on the table etc. 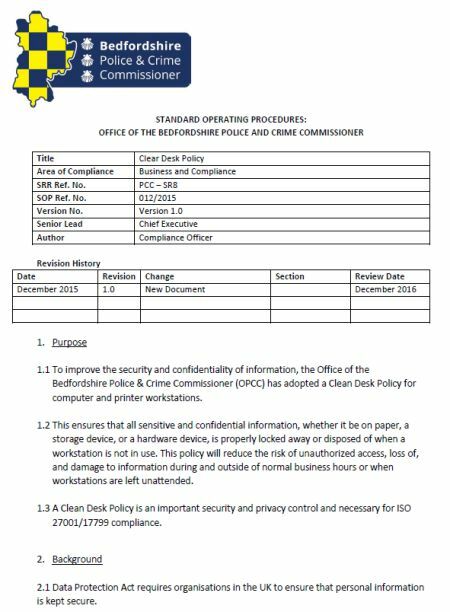 The first step towards making the company ISO complied will start by making a clean desk policy checklist. In the world of the digital era, we must not allow details to float around in papers. Instead, they must be digitized. Now, the system is password protected and theft is prevented. Also, printing papers can be avoided to save trees. 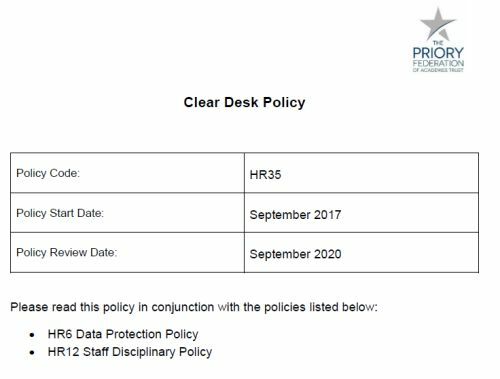 A well-drafted document that explains how the employees are expected to keep their desk clean is called clean desk policy. 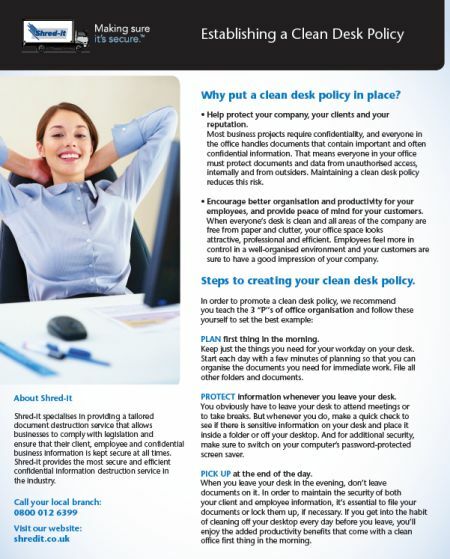 The responsibilities of each employee in maintaining their desk clean are written in the clean desk policy. It can include a range of instructions depending on the nature of the company. 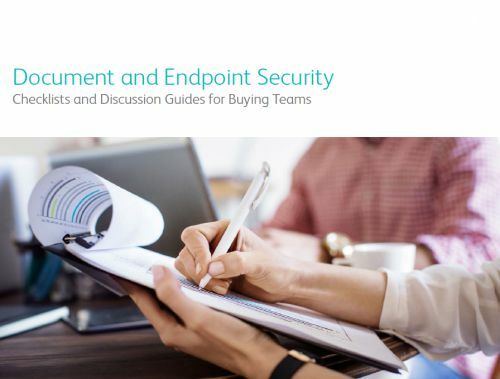 Companies that rely more on documents will have to make a clear policy to give clear instructions to employees. 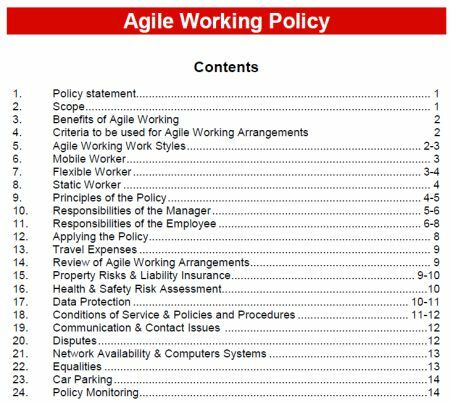 It is important that the company make policy and distribute to all employees to keep all in the same platform. Every new joinee must understand the company policy. Also, all must follow one method to clean their desk. Not, one will dump everything in the draw before leaving and the other will arrange in an organized manner. Each individual should follow certain guidelines to maintain the desk clean. The policy is a must in every company to have uniformity across employees. Having gone through the uses of clean desk policy, you will certainly understand the need for a clean desk. 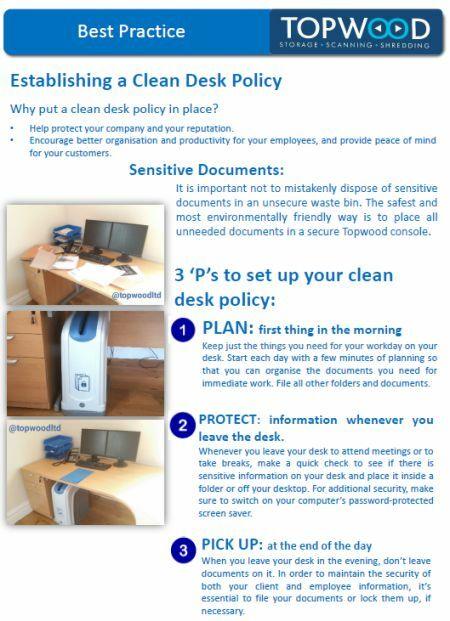 Not only the desk will look clean but also the confidential information gets protected. 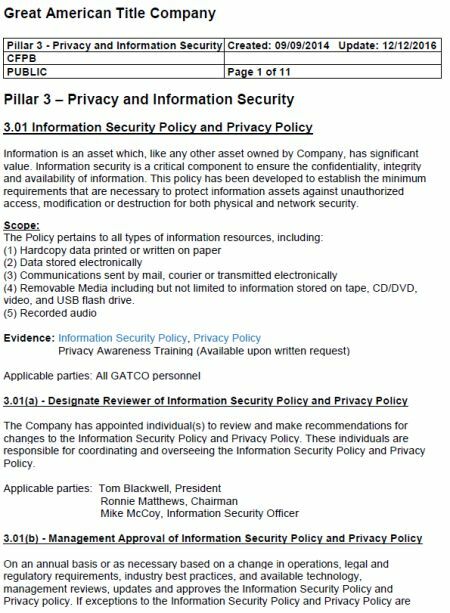 Anything that the company does is confidential until they officially release the same. Therefore, the clean desk maintaining habit must be inculcated in every employee right from the day they join the organization. 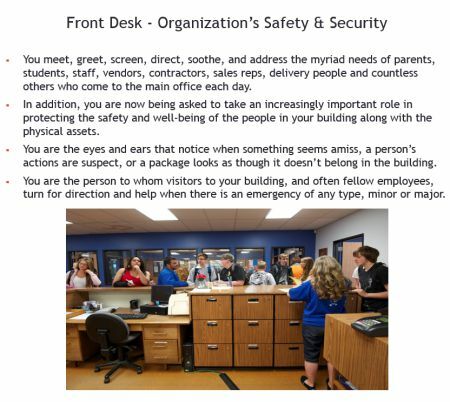 Companies provide safety lockers or drawers with a key to each employee to save the documents at the end of every day. There is a small confusion that in general companies have. Especially these days systems dominate the entire world. There is very less of paperwork. This will help employees to keep their desk clean. But do you know the consequence of this? Yes, they have started loading their system with data. 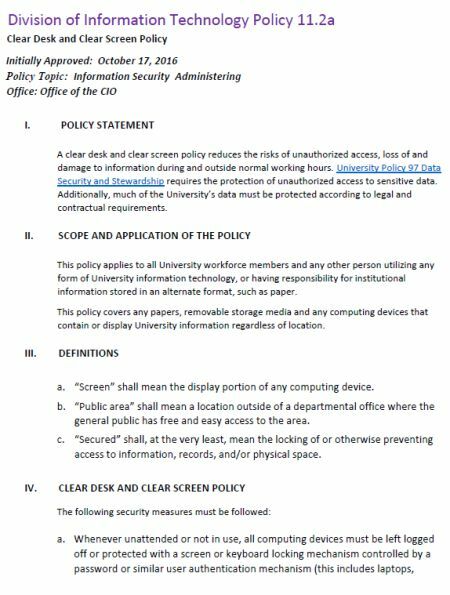 Only to arrest this clear screen policy has been designed by each company. Every employee should make sure to lock their system when they leave the desk. Also, they must not store files on the desktop but in the assigned folders. 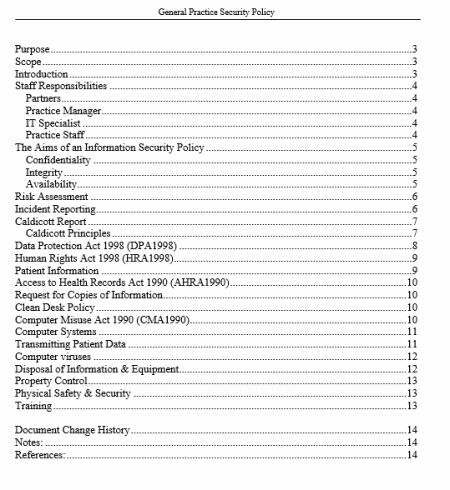 Wherever required they must be uploaded in the intranet or Google drive for secured data storage and easy access. 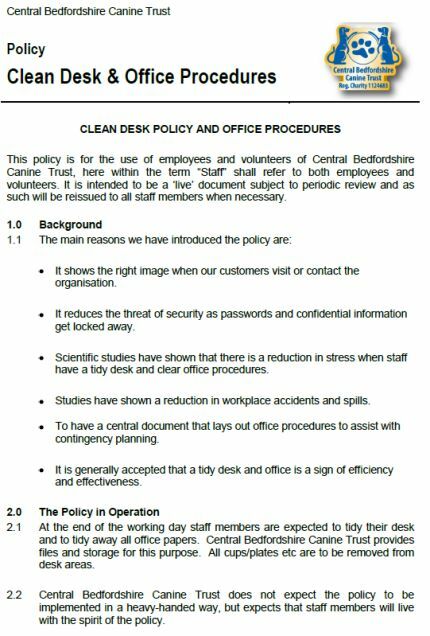 As mentioned in the beginning we have given you a detailed overview of clean desk policy, checklist, audit, posters, and many more. 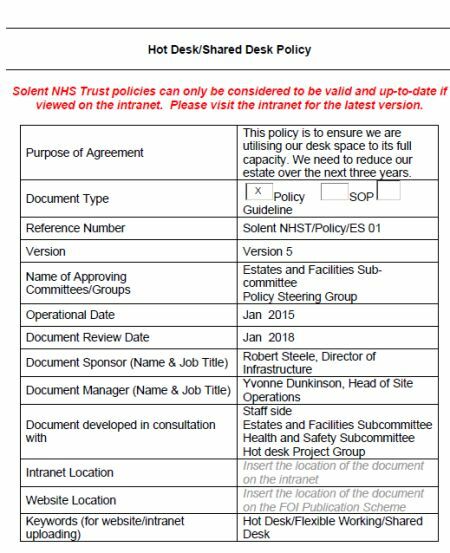 You can now use the templates for free and use our details to orderly follow the policy and help your employees keep their desk clean.